Made from quality soft touch 80gsm breathable polypropylene. 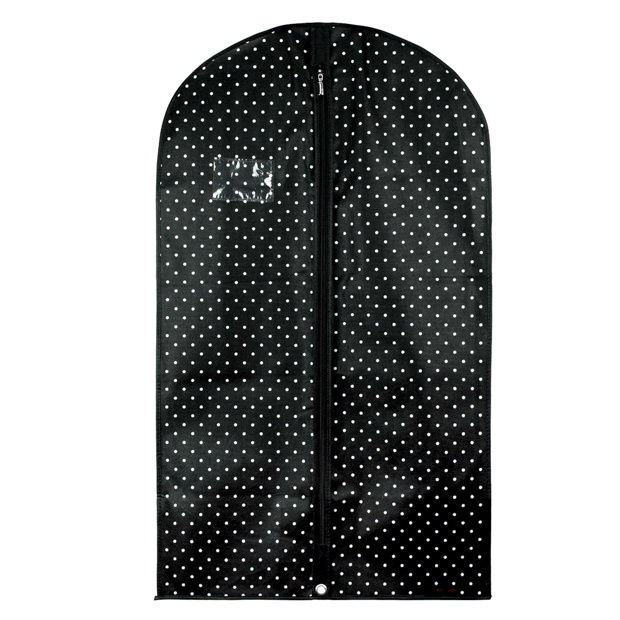 Black base colour with white polka dot print. Ideal protection for skirts, trousers, dresses, jackets, coats, shirts, blouses, tops, jumpers etc. Strong full length zip and stylish chrome puller. Shaped shoulders with top opening for hanger hook. Lower strengthened eyelet for easy carrying draped in half. Useful internal secret zipped pocket! Size: Length x Width 40'' x 24" (100cm x 61cm) approx.